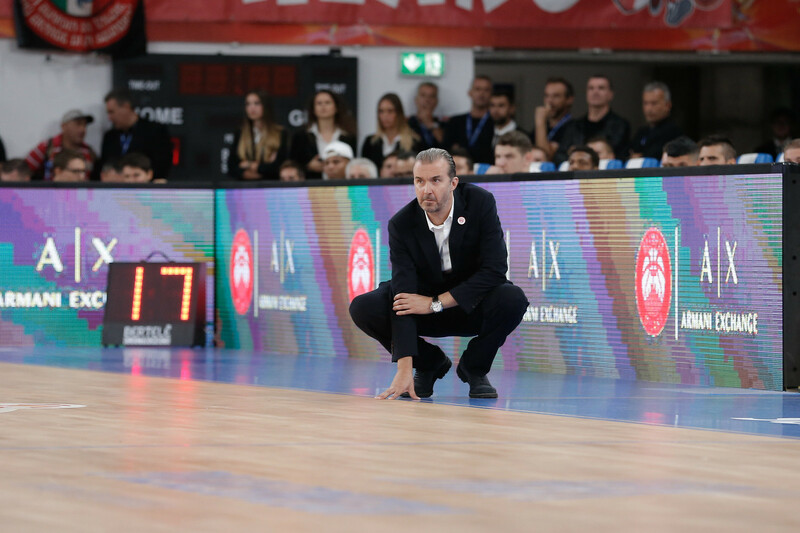 Coach Simone Pianigiani is preparing his team for the EuroLeague debut in Podgorica: “There’s going to be a lot of pride in that building, they will push their team and rightly so because they are returning to the EuroLeague after many many years. On top of that they can use different kind of lineups, using two point-guards together or three guards or be effective with Coty Clarke as their best low post player and thay can change even more now that they also have Alen Omic. We’ll try to establish our tempo and try to keep some kind of flow in order to play our game and not their kind of game”. Pianigiani talked about Curtis Jerrells too. Jerrells has not played so far: “He’s healthy now, but as a matter of fact he’s having his personal preseason. In order to play him I need to make sure he can give us at least four or five quality minutes. We’ll see in the Italian league too”. The Coach talks also about Mike James (“He’s important because at this level, at his position, you need one player capable to pur pressure on the defense, creating and scoring”), Amedeo Della Valle (“His approach has been great, now he needs to be ready to hit somebody when necessary, spend fouls he’s not used to spend”) and Christian Burns (“His job is a tough one because right now I’m asking him to play at the 5 in the Italian league and to move at the 4 in the EuroLeague when we need extra size. It takes time”. And finally Pianigiani talked about his Olimpia team in general. “I like the type of team that we built, I like our room for improvement and I know that in order to make the playoffs we have to take advantage of the opportunities and having some lucky breaks. In the EuroLeague you develop your team over time: with my team I remember going to Madrid and win easily over Real at the start of the Pablo Laso’s era. Now look at them, how they play after years spent with the same coach, the same core guys. Eventually we want to reach that level of familiarity and development”.